I realized I hadn’t updated my own, college-aged kids, Amanda and Eli, on their Aunt Laney’s status in the hospital. ELI: Yea. Good that both will be ok. Truck got what it deserved. Amanda had burned Eli with an impressive prank in middle school. Every day that summer, the ice cream truck raced past the house after lunch with the loud, iconic music creating an almost Doppler-like effect as the truck roared past. Ten years old at the time, Eli desired nothing more than to have the experience of buying an ice cream cone from the truck all by himself. He’d rush out the door, cash in hand, whenever he heard the truck, but never managed to flag the guy down. The driver must have used his truck to practice for Nascar. One July weekend afternoon, Amanda found the ice cream truck music online, then set her speaker in the hallway outside the bathroom door while Eli showered. She hit play just as the shower turned off. He raced out the front door with his towel barely hanging on, only to discover no truck in sight and his sister’s riotous laughter thundering from the doorway. She’d pulled a world-class prank on him. Eli got over it, but not the disappointment of his futile endeavors to score an over-priced, freezer-burned Drumstick. Although his mother and I would never have let him, Eli would have succeeded if he’d stood in the middle of the street waiting as the truck raced toward him. The truck’s automatic emergency braking system would have stopped it without hitting him … Like Laney’s car should have stopped on its own without hitting the truck. How could Laney have broadsided a truck? Today’s cars all have automatic braking with advanced radar systems, not like the early versions when I grew up. And, for that matter, didn’t delivery drones also have autonomous controls to steer them away from collisions? Laney’s accident was starting not to feel very accidental. I scrambled to locate Sergeant Jackson’s card and call him. It went straight to voicemail. I left him a rambling message asking him to check out what went wrong with the drone’s collision prevention system. I also suggested the ice cream truck driver could be a possible suspect, although this only made sense if Laney was part of a bizarre conspiracy/thriller movie. In the real world, ice cream trucks didn’t target people or have problems driving. Unless they were on a Rocky Road. Heh heh. People always ask me how I get the ideas for my books. I’m always interested in understanding how other authors find their ideas. 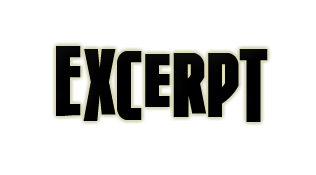 Some authors seem to swim in an endless supply of plots and characters, effortlessly plucking out one plot twist or character arc after another until they’ve burned through their keyboard. Those are the lucky authors. Research. That’s a fancy term for my process. I start by collecting funny anecdotes, interesting people or snatches of overheard conversations. As I go about daily life, I capture notes on my phone. Over the last few years, I’ve noticed that I pay much more attention to my surroundings than I ever did. I also have become more willing to approach strangers and ask them questions. Who’d have expected that the solitary life of a writer would make me more social? Plot. At some point, I start adding plot ideas. My extensive research into writing clearly highlighted the importance of having a plot. All those other successful authors must be on to something. I try to come up with ideas for problems to throw at Marty (my protagonist). Sometimes ideas hit me on how he’s going to solve the case through his powers of self-delusion, attention to detail, and the inability to leave a coherent voicemail message. Characters. Once I developed the concept for a few of my regular characters, I find myself wondering how one of them would react to a specific situation or whether I can make life more difficult for them during the course of the book. 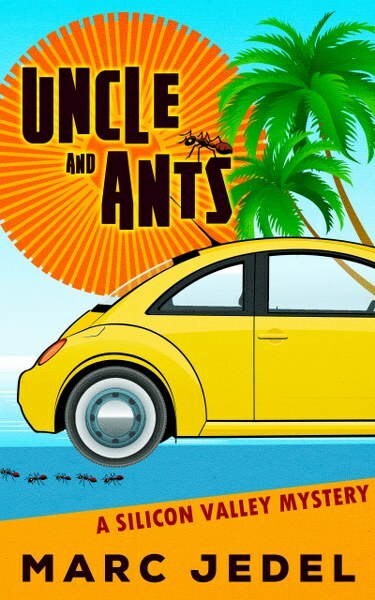 Having Uncle and Ants take place over the course of just one week was a deliberate approach to force myself to increase the pace and make the characters act and react more often. Jokes, Dad Jokes, Puns, and Lyrics as Humor. These make me laugh as I’m writing the book. My humor is spontaneous. Sometimes that spontaneity happened months ago and I wrote it down and sometimes it strikes as I’m writing. Typically, the use, or misuse, of parts of music lyrics as dialogue hits me on the spot. Same for most of the puns. Fortunately for the readers, my editor is awesome and she removes the humor attempts that don’t make it across the finish line. Outline. Some writers are ‘pantsers’. This means they fly by the seat of their pants, writing without a detailed plan. Not that they wear pants. Some authors probably do wear pants when they write. That’s kind of a personal question best unasked during an author’s tour. I outline. I admit to it. If I didn’t, I’d still be trying to figure out how Uncle and Ants would end, or who gets killed. Creating an outline with each scene on one line of a spreadsheet helps me to look at holes, try to spread out when different side characters show up, and make sure the action keeps moving forward at a good clip. Then I go through all my notes and put most of the notes into the relevant scene so I can include all the right amount of humor as well as balance humor vs tension. Once that’s done, there are no more excuses. It’s time for the next stage. Write and Edit. This part sounds simple — write, edit, repeat. Eventually magic makes it good. 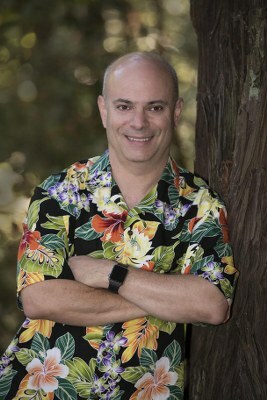 My book, Uncle and Ants: A Silicon Valley Mystery, is a humorous murder mystery. 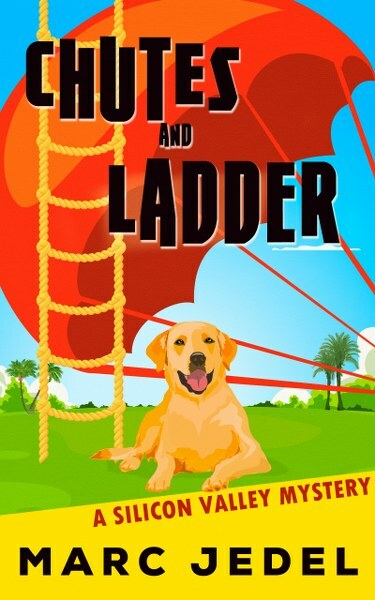 Silicon Valley is not your typical cozy mystery locale and Marty Golden doesn’t fit the normal profile of a mystery protagonist. Despite finding himself thrust into challenging situations, Marty isn’t exactly hero material. He has a wonderful combination of wit, irreverent humor and sarcasm mixed in with nerdy insecurities, absent-mindedness, and fumbling but effective amateur sleuthing skills. With an active, inner voice and not a lot of advanced planning, he throws himself into solving problems.